A new purpose built Seafood Research Centre for Plant and Food Research which is the result of our master planning to consolidate the seafood research team onto a single site. This building is the second stage and anchor tenant building for the new Seafood Research precinct developed by Port Nelson Limited. The centre accommodates 50 science staff in a purpose designed modern working environment, comprised of an open plan offices, collaborative spaces, focus room pods, meeting rooms, AV rooms, seminar room, cafeteria and a feature entry foyer. 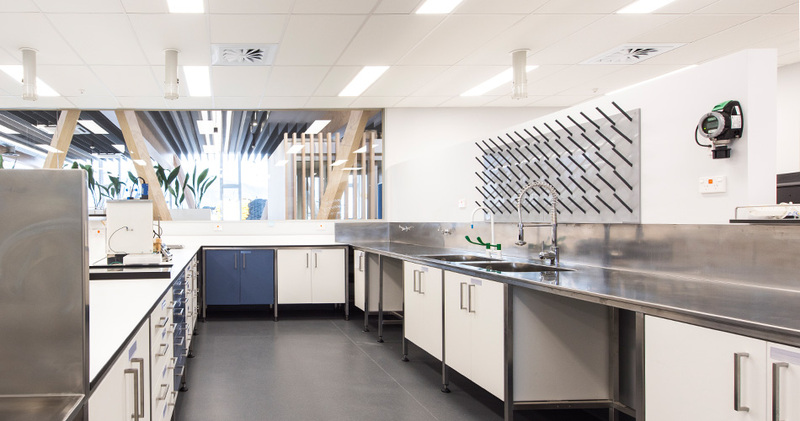 Specialist science areas provided include; chemistry labs, PC2 Molecular labs, wet labs, a flow tank, and workshop spaces. 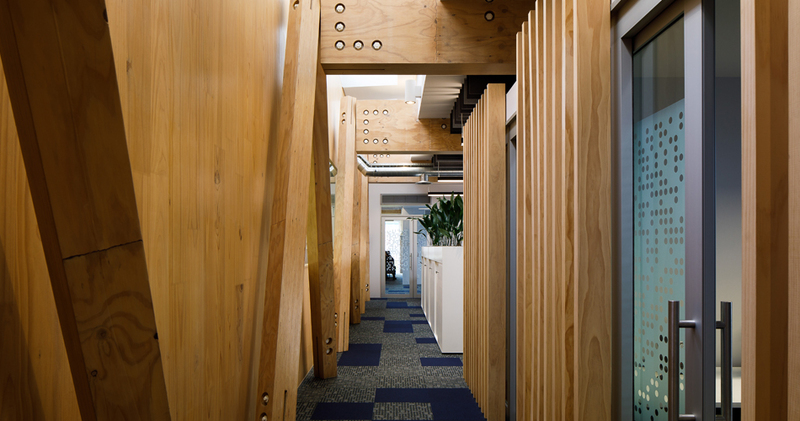 The main structure is expressed locally sourced (less than 100km) mass timber featuring a high level of prefabricated timber elements, including Xlam timber shear walls, LVL cross columns for lateral bracing, Poitus LVL flooring and roof components. Foundations are provided on 15m long 375 octagonal reinforced concrete columns due the reclaimed land the building rests on. A high level of natural light, with a two story glazed curtain wall to the south to introduce daylight, along with sky lights to the north to introduce daylight deep into the floor plan. Natural ventilation with high level ventilation louvres though the foyer and high level actuator opened windows. A high level of transparency through the building between the labs and office environments to promote interaction and connectivity between these spaces. A sheltered courtyard space to the north connected the cafeteria area making the most of the view to the haven. Bound on water by three sides, the building is aluminium clad to provide a robust and durable exterior in this harsh sea environment.